The Tullos Training Annual Awards Ceremony was held on 27th June 2018 at the Marcliffe Hotel in Aberdeen. This year over 200 people were in attendance. 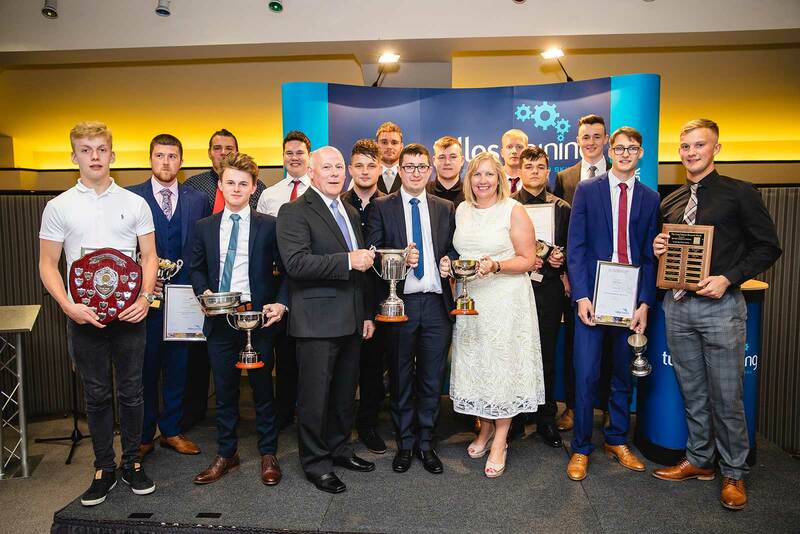 A total number of 106 apprentices have completed their Modern Apprenticeships at Tullos Training since our 2017 awards ceremony with many others completing other qualifications including SVQ Level 2, NC and HNC. Tullos Training CEO, Iain Garrett started the event off before handing the stage over to Ann Johnson, Finance Director at Blaze Manufacturing Solutions who gave an informative speech on the value of apprenticeships to employers. We would like to thank all of our sponsors and guest speakers for their contributions in helping make the event a success. Jonathan Dyer from J Dyer Designs was our event photographer this year. He was taking many photos throughout the evening which can be accessed at http://www.jdyerdesign.com/tullostraining2018.